Petromax original lantern. This petromax lamp is available in either the smaller HK150 or its larger sister the HK500. Both lamps are run by either kerosene or paraffin. Both lamps are ideal for camping as they are water resistant and are small enough to pack away with your gear, especially our smaller version. The lamps include a handle to either hang up your lamp or hold it. Petromax has been world renowned for their high pressure lights for over 100 years and supply both army, fishermen and outdoor enthusiasts. The highly resistant glass means these are suitable for all types of weather and wind. If you would like the smaller HK150 paraffin lamp please contact us. The larger HK500 is avaialbe in chrome, matt or brass. Please select. 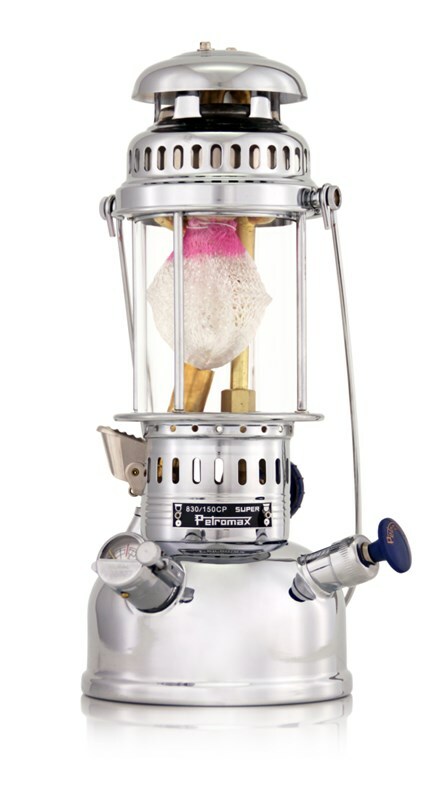 There are no reviews for Petromax HK500 Lamp Paraffin Camping Lantern ALL COLOURS.